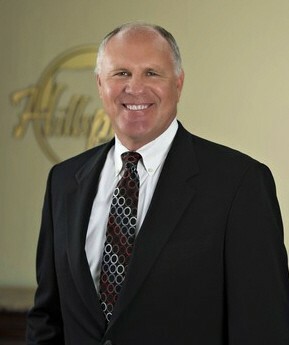 Kent G. Forsey, President of Hillspring Financial, has worked as an investment advisor for over 25 years. Having seen the many ups and downs of economic cycles, Kent truly understands the power of sound advice, suitable asset allocation and effective risk management. Kent enjoys helping people learn and understand the events and activities happening throughout the world that affect their economic and financial lives. Working with individuals, couples, families and businesses to identify needs and goals, and then designing and implementing a successful investment strategy, is a responsibility Kent takes very seriously. He recognizes how important people’s savings and retirement assets are in being able to realize and achieve their personal and retirement goals. Kent started his formal training at the University of Utah and then graduated from Brigham Young University with a Business degree, majoring in Finance with a minor in Economics. He has taught many seminars and classes on various investment topics including the principles of successful investing and risk management techniques. When not working, Kent enjoys spending time with his wife Sandra (married for 26 years) and his three children; Rachel (recently married), Sarah and Jacob. Kent has been active in the Boy Scouts of America most of his adult life. He has served in many positions ranging from Unit Commissioner to local Troop Scout Master. Kent earned the rank of Eagle Scout in his own youth and he now enjoys teaching and helping young men learn and develop important life skills. Recently joining Hillspring Financial, Inc., Kent is honored to be a part of our team and is grateful to the many clients he has been able to work with, both past and present. Kent is dedicated to providing superior customer service and reliable investment advice.